Backed by the team of highly dedicated professional and years of experience in the domain, we are engaged in offering a quality range of Panasonic headphone to our esteemed clients. As per the distinguished and changing requirements of our customers, we have come up with a huge collection of Panasonic Headphone . 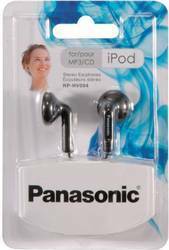 Panasonic RP-HS33E-D is a Headphone audio device from Panasonic, designed for matchless music experience. We are enlisted amongst the leading names in the industry offering our clients wide range of Panasonic Computer Headphone . We are a renowned name, which is engaged in offering a wide and comprehensive range of Panasonic headphone .